The Mozambique government recently announced its intention to crack down on poached fish -- and not the cooked kind. "Illegal fishing is a challenge that we have to deal with because it affects the country and the whole world and in Mozambique we are improving inspection schemes together with several national and international bodies," said a deputy fishing minister. At things now stand, Mozambique monitors a 50-mile radius of ocean with a single patrol boat -- Kuswag I -- paid for by the governments of Norway and Iceland. The most obvious animal or environmental advocacy reaction to this news to celebrate it. Cracking down on illegal fishing, one might think, would benefit fish, their stocks, and the aquatic ecosystem. But the initiative is both less meaningful and more complicated than it sounds. In fact, the closer you get to the deal the more it stinks. As the initial report goes on to note: "The fisheries sector has a strategic role to play in food and nutritional security, collecting foreign currency and generating employment in Mozambique, where production totals around 150,000 tons of fish per year. Fishing is ranked fifth on Mozambique's export list and accounts for 2 percent of Gross Domestic Product (GDP) and around US$75 million of the balance of trade." Fishing, in other words, is big business in Moz and, as such, any fish saved by a crackdown on illegal fishing will only become fair frame for legal fisheries. This is not about conservation. It's about tuna. The waters that the Mozambique patrol boat currently cannot reach happen to be waters where most of the illegal catch happens. Much of that illegal catch includes tuna. Not only does Norway help subsidize Moz's patrol boat, but it has pledged to "continue providing support" as Moz expands enforcement efforts. Not incidentally, Norway lifted a 30-year ban on tuna fishing in February. The Moz government refuses to be left out of the tuna boondoggle. 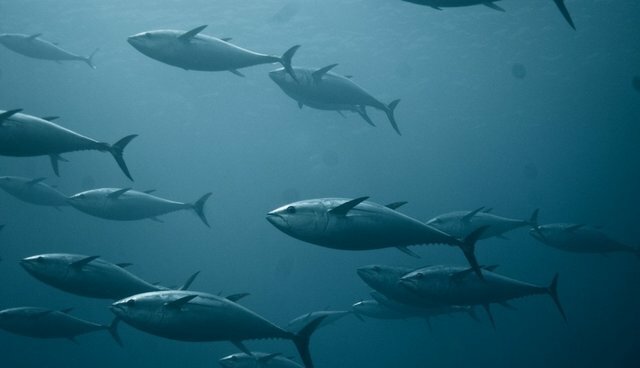 It's preparing to finally demand a "tuna Tax" on Japanese boats (in the form of license inspections). According to one report: "Mozambique would have significant economic gains from the inspections, as a fishing license costs between US$32,000 and US$35,000 depending on the type of fishing each vessel does." But the real reason for this tax is to deter the Japanese and clear the lanes for the tuna fleet that a French shipbuilder plans to deliver to Moz, a fleet paid for with a $500 million 7-year amortizing USD bond. Finally, to spread the wealth, Moz has blurred the line between between artisanal and industrial fishermen to allow the small guys to join the big fleets out in tuna territory. Said the deputy fishing minister: "If artisanal fishermen commit to motors they could obtain incomes similar to those earned by semi-industrial and industrial fishermen, even though the resource each is seeking is different." If nothing else, this feeding frenzy will be an equal opportunity one.